Hi loves! 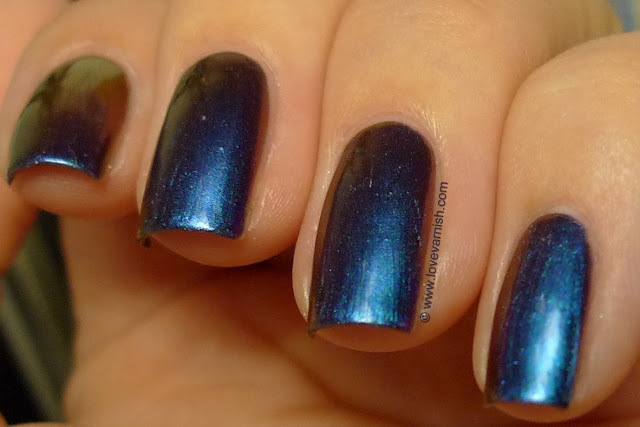 Let me start this post with a warning: extremely beautiful polish ahead! I repeat: extremely beautiful polish ahead! Also, you can click on the pictures to enlarge them. Okay, now we've got that covered let me start by introducing you to the awesome brand I♥NP. 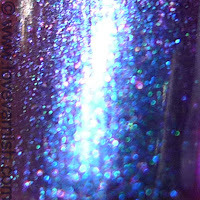 I have previously shown you 2 polishes from Barbra, both from the old range (smelly, stinky base). I have had a soft spot for the brand ever since because of the adorable packaging and lovely bottles, but shipping isn't the cheapest and well, I just never got around to ordering some other shades. Imagine my surprise when I received a message while on vacation telling me I was 1 out of 5 lucky winners to receive the full I♥NP Ultra Chromes set. Yeah, I was literally yelling at my boyfriend "OH MY GOD THIS IS SO AWESOME AAAAHHHH I WON I WON I WON WOOOOOHOOOO". The other guests laying down at the pool must have thought I lost it. Sorry other people! Today I am showing you Birefringence. It applied easy in 2 coats, though I did lay down the second coat a bit more thick. Quick drying and shiny with some extra love of my Essence Better Than Gel Top Sealer, I can't stop staring at it. Just look at all the pictures. There are many pictures. 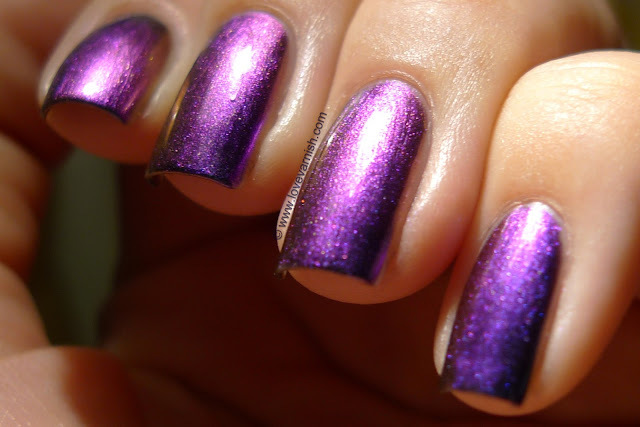 These polishes really are something. Ultra Chromes suits them so well. So far I've worn 2 (and haven't snapped pictures of the first one yet, but will do!) and I just keep seeing new colors! It is amazing and wonderful and a very bad distraction while driving your car ♥. I also made a little Instagram video with this beauty, shown below. If you want to stay updated be sure to follow the Instagram account, not nails only though (but kitties too, yay kitties!). 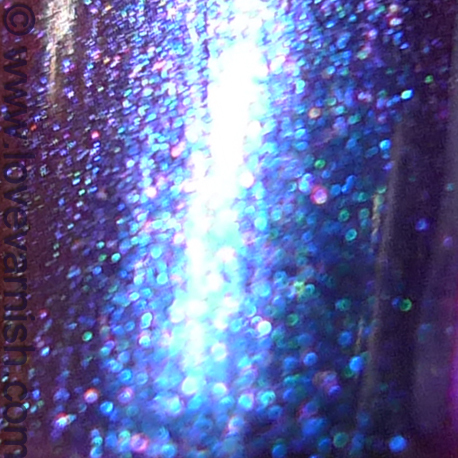 What do you think of this multichrome stud? And did you preorder or plan on getting this collection? I♥NP can be found over at their own website, on Facebook, Instagram, Pinterest and they have a blog too! The Ultra Chromes will be on sale starting September 6th, if you want to be updated on the sale make sure you sign up for the newsletter. Why does this have to be so pretty! Love! oh my! I ordered some of this and I am waiting, not so paitantly for it to come. It is so pretty! Thanks for sharing! This takes my breath away, seriously gorgeous! 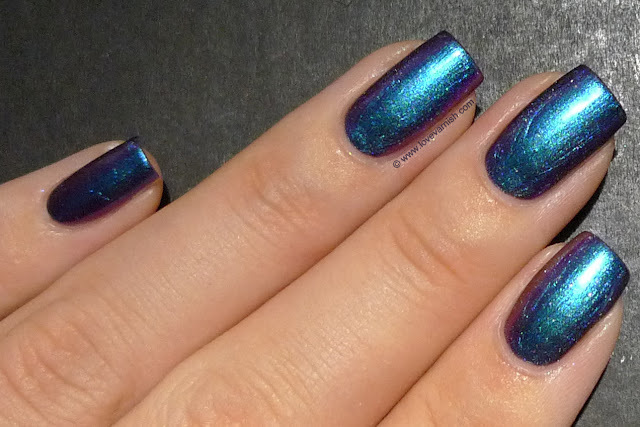 Multichrome's deserve lots of pics! 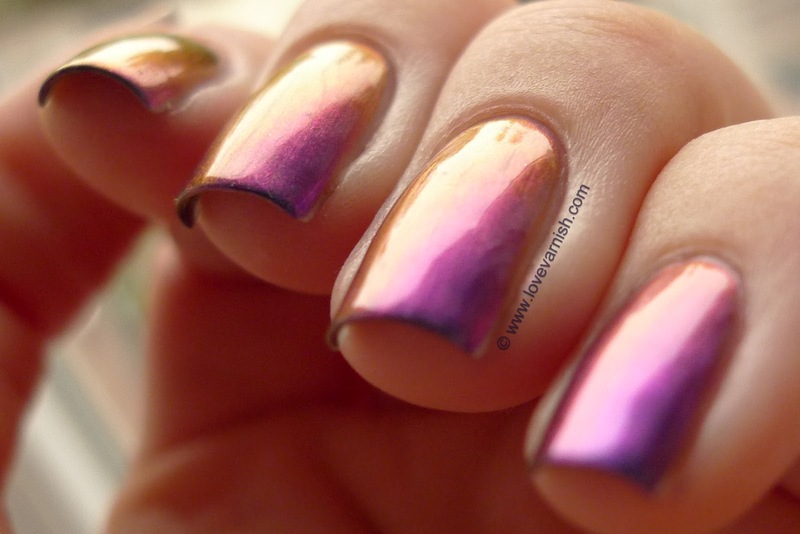 This really does remind me of the old SH Nail Prisms. 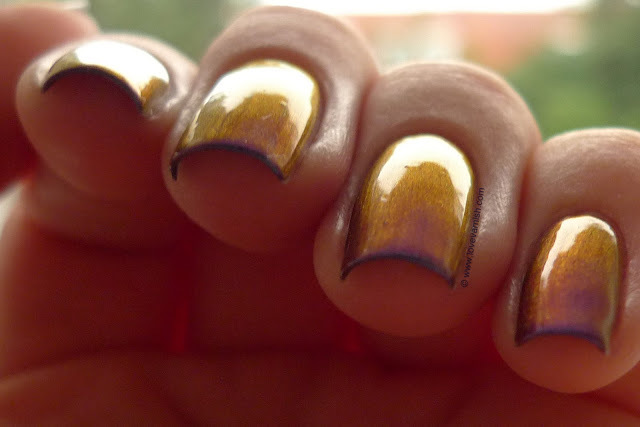 You should do a multichrome gradient like I did last year. I still need to redo that one and take better pics, cause it was EPIC! Thanks dear, they are awesomeee indeed. :D it is making me drool everytime I look at the pictures. Luckily the shipping will start tomorrow! You are welcome Malinda :). 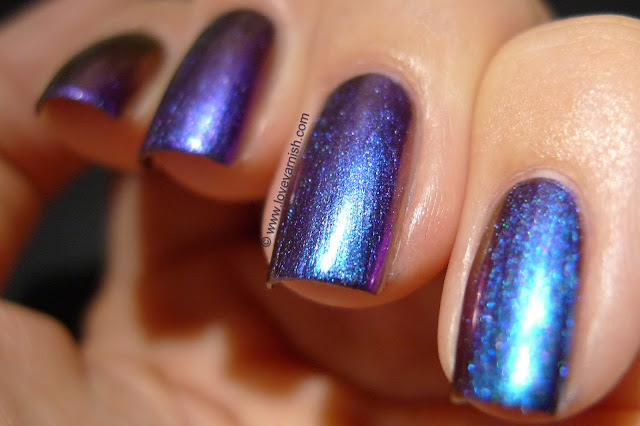 OH YES to multichrome gradient, I was already considering it and you just convinced me. We can do a twinsie manicure if you like? That's a great idea! I'm down! Cool! I'll send you a FB message to talk it through :). GORGEOUS! I didn't realize how long your nails were lately! Thanks so much babe! Yeah they have been behaving very good, since I started using Duri Rejuvacote. Stronger than ever and I thought it'd be fun to see how long I can handle them :). Amazing colorshift! I love all the colors! Beautiful photos! Congratulations on winning!